This is a gorgeous star ruby ring. I don’t see many star rubies and sapphires that I like but I would love to put this one on my finger! To me, rubies are a difficult stone to work with. There are not too many other gemstones that that I would pair with it except diamonds which would immediately drive up the price. 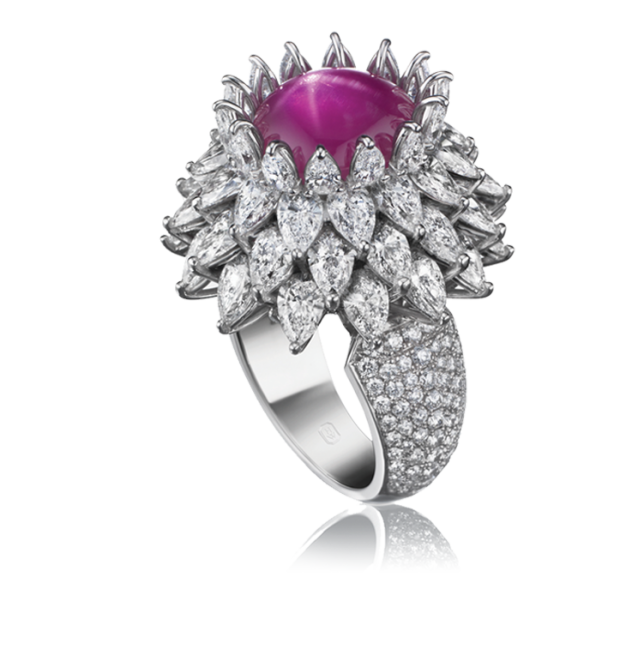 Star rubies are more affordable than more transparent rubies because of their inclusions, color and saturation. 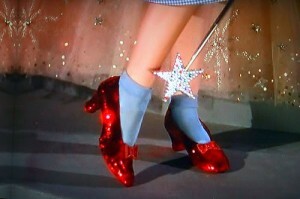 My girls and I went to see the Wizard of Oz this weekend at the Landmark Theater and I was mesmerized by how sparkly Dorothy’s ruby slippers were. I wanted to reach up and touch them and rip them off her feet. Thankfully, for many reasons, I did not. It was this pair of shoes that inspired my post. Rubies don’t get nearly enough press, considering that they can often be more expensive and more rare than diamonds. The most coveted being the “pigeon’s blood” ruby. This is the ruby that has perfect color, a distinct red/magenta hue. This entry was posted in Design Inspiration, Heartbreakingly Beautiful, Mollie, Priceless, Rocks that Rock and tagged diamonds, gemstones, ring, Rubies, ruby. Bookmark the permalink. 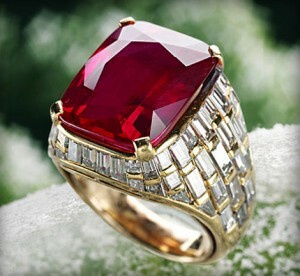 Ruby is my birth stone- I have never really loved it…I do now!!!!!!!! !